David Coleman Headley's testimony continues to incriminate the Pakistani establishment in the 26/11 Mumbai terror attacks case. Tuesday, 9 February, was the second day of the Lashkar-e-Tayyeba operative's deposition before special judge GA Sanap at Mumbai's District and Sessions Court, via videoconference from the USA. Headley is serving a 35-year sentence in the US for his involvement in the Mumbai attacks, and has turned approver in the Indian case. Here are the biggest revelations from Day 2. Headley said that Pakistan's intelligence wing, ISI, supports Jaish-e-Mohammad (JeM), Lashkar-e-Tayyeba (LeT) and Hizbul Mujahideen. He said that Brigadier Riyaz, who worked for the ISI, was Zaki-ur-Rehman Lakhvi's handler for the Mumbai terror attacks. It was Hafiz Saeed who put Lakhvi in charge of the Mumbai attacks. Special Public Prosecutor Ujjwal Nikam told the media that like Day 1, Headley had made sensational revelations. "Headley has revealed his close association with the ISI. When asked whom he knew in ISI, he revealed the names of Brig. Riyaz, Col. Shah, Lt Col. Hamza and Col. Ali. He also revealed the nexus between terror outfits and the ISI," Nikam said, adding that ISI provides financial, moral and military support to the likes of LeT, JeM and Hizbul Mujahideen. Headley accepted meeting ISI's Major Iqbal in Lahore in early 2006. A colonel of the Pakistan Army was also present at the meeting. He also identified the photographs of Lakhvi, Maulana Masood Azhar, and former Pakistan Army Major Abdul Rahman Pasha. He said he was introduced to Pasha, a retired officer of the 6 Baloch Regiment, in Lahore in 2003. Pasha had joined the LeT post superannuation. After the meeting, Headley was asked to gather intelligence on the Indian Army and to recruit Indian armymen for spying. He also said that when his wife Faiza lodged a complaint of domestic violence and his involvement in terror activities at a police station in Lahore, he had to spend a night in the lockup. But he was released the very next day after the intervention of his 'friends' in the Pakistan Army and the ISI. Headley told the court that LeT and JeM have their main bases at Muzaffarabad, Pakistan-occupied Kashmir, and that all the major terror outfits were operating under the banner of the United Jihad Council. He told the court: "I met Zaki-ur-Rehman Lakhvi for the first time in 2003 at the LeT headquarters in Muzaffarabad." He also said that he had been trained in Muzaffarabad. "After the first training course at Muzaffarabad from February to August 2002, Headley underwent a second training course where he interacted with many LeT operatives," Nikam said. Headley told the court that the conspiracy to attack Mumbai was also hatched at Muzaffarabad, in 2007. "Video footage of various places in Mumbai was shown during the meeting," Nikam said. LeT's Sajid Mir and Abu Khvafa were present at the meeting with Headley. Headley also said he had met Jaish chief Maulana Masood Azhar in October 2003, during a conference at a spot 100 miles from Lahore. Azhar was a guest speaker at the conference. In his speech, Azhar informed the gathering about his activities in India. Nikam said Headley knew many Al-Qaeda operatives as well. When Nikam showed him his passport, Headley accepted that he first came to Mumbai via Karachi on 14 September 2006. Nikam asked him the reason why Mumbai was targeted, but Headley said he was not aware of any particular reason. 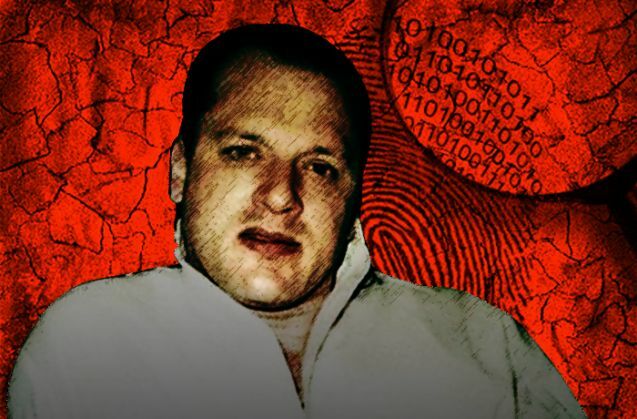 "Headley stayed as a paying guest at Shyam Niwas, near Breach Candy Hospital, in 2006. After the surveillance in Mumbai, the GPS coordinates of landing spots were handed over the Sajid Mir of LeT," Nikam said. Sajid Mir and Abu Khvafa had provided the GPS devices. Headley stored GPS coordinates of various locations in Mumbai where attacks were to be conducted. He also made videos of the Leopold Cafe and the Colaba Police Station. According to Headley, LeT had multiple targets in Mumbai, such as the Taj Mahal Hotel, the Naval Air Station, the Maharashtra Police Headquarters, the Oberoi Hotel, Chhatrapati Shivaji Terminus, Dadar's Siddhivinayak Temple and the Convocation Hall of the Mumbai University. However, the plans were abandoned due to logistical reasons. He also selected the landing sites for the 10 terrorists who executed 26/11. When Headley was shown photographs of the convention room and the conference hall at the Taj Hotel, he identified them. He also identified his signature when the register at the Taj Hotel was shown to him. In Tuesday's deposition, Headley revealed a few more names of people who facilitated his stay in Mumbai and provided logistical support. One Bashir Sheikh and 'Dr Rana' helped Headley in every way he asked for. The duo even went to the airport to receive Headley on many occasions. LeT had planned an attack on the Taj Hotel in 2007, during a meeting of Indian Defence Scientists. Headley came to Mumbai with his wife before the meeting to conduct reconnaissance on the hotel. He videographed the second floor, where the meeting was scheduled to be held. "Headley told the court that he was given responsibility to execute the attacks on the Taj Hotel. He had conducted reconnaissance at the hotel before the attacks," Nikam said. "Headley stayed at Taj Hotel with his wife Faiza when he conducted the recce of the second floor of the hotel. Apart from this, he conducted the surveillance of Taj Hotel several times in 2007. He had set up a travel agency office in Mumbai during his stay from 14 to 28 September 2006," Nikam said. "The plan was abandoned as LeT could not manage to arrange enough arms and ammunition," Nikam said.